An an intense, highly-experiential, one-day development program for executives and senior managers who wish to coach others to a higher level of performance. Identify actions you can take to establish a culture of coaching within the organization. The workshop incorporates the very best practices of executive leadership development with Bluepoint’s award-winning expertise in coach training. 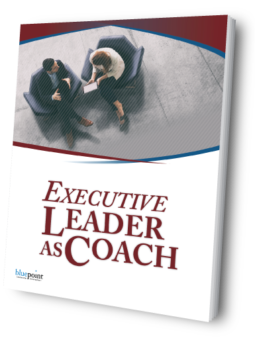 Want to find out more about Executive Leader as Coach?